David will be arriving in Manila on November 16th. We know through twitter that Filipino fans are planning a warm welcome not only at the airport but also at the hotel. Sounds like we’re in for some excitement from Manila. 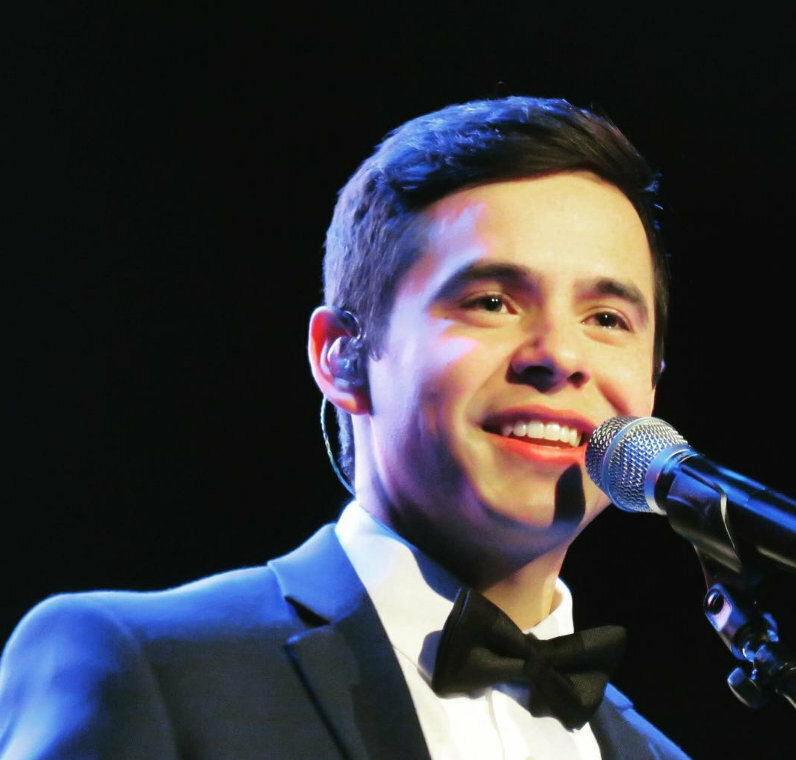 @DavidARchie ….be PREPARED!!…. the swarm of ARCHIENOYS WILL ATTACK IN THE AIRPORT LATER…AND WILL GIVE YOU WARM WELCOME YOU DESERVE!! 1. 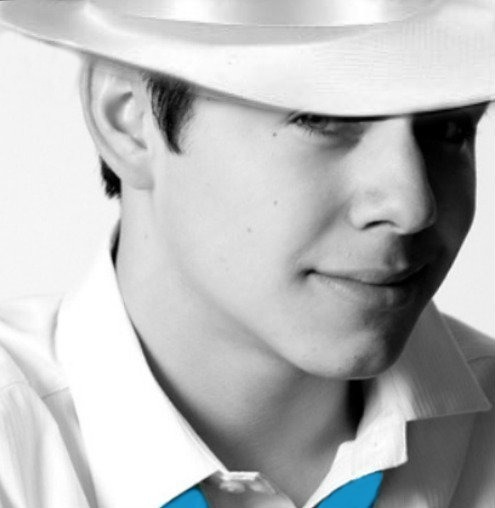 16Nov(Tues)- DA arrives MNL; Pinoy Archies will welcome him. 3. till the 17th (Wed) for the M&G. 4. 17Nov (Wed) – Mall Show/M&G at 5pm. Lots of promo for this event. The whole ShoeMart Mall has tons of huge, gorgeous & strategically located posters. 1. Buy TOSOD CD (Php435/$10++) at the SkyDome Gate. 1st 400 will get their CDs signed and seat at the floor seated section. 2. Buy 3 SM Eco bags (Php160/$3.75++). This is perfect for those who do not want to buy another CD but want to watch the show. However, no CD signing & they occupy the bleachers. We asked the booth ladies yesterday and they said ticket sales is brisk! What is the weather in the Phillipines? This entry was posted on Monday, November 15, 2010 at 7:51 PM	and is filed under Uncategorized. You can follow any responses to this entry through the RSS 2.0 feed. You can leave a response, or trackback from your own site. Cool dja! Thanks for outlining the next part of David’s promotional tour for TOSOD. GOOD MORNING, DAVID! Have a safe & uneventful flight to Manila. You are constantly in our thoughts & we hope your stay in Manila will be all you hoped it will be & more! Have fun & please take care! Keep with you our love & prayers. Contigo Siempre! 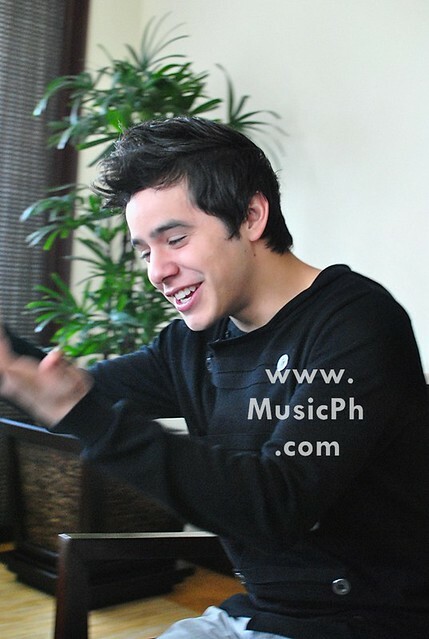 Here’s a flashback of David in Manila, May 2009. We will ALWAYS & FOREVER stand by you, David! I was wondering why that lady had a big trash bag~~ it’s for his cards, letters and gift bags! Uh-oh..it’s 9:10 AM where David is! (I calculated incorrectly previously). I’ll be up when gets there!!!!! Just a suggestion. I would do it myself, but I don’t know how??? Bah! Wow! I’m wanting to hear more of David’s vocal warm-ups–that video is extrodinaire! So short (too short) but so fun. @davidarchie If u see this tweet please go to the departure hall and at leadt wave us goodbye ): we’ve been waiting for u since 8am..
sorting TEAM AIRPORT FROM TEAM HOTEL. go @archuletaphils! I made what SF asked for, but it seems to be taking forever to upload :45 MGR. While we wait, how about this? 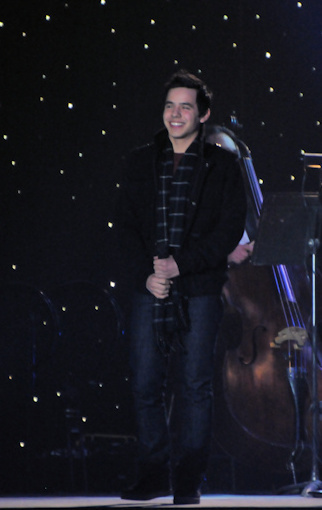 David Archuleta surprised Northlight Secondary School! There are some older videos from last time David visited Singapore. He has on the green plaid shirt. No missed opportunities for you, huh Abrra? Very nice — thank you! 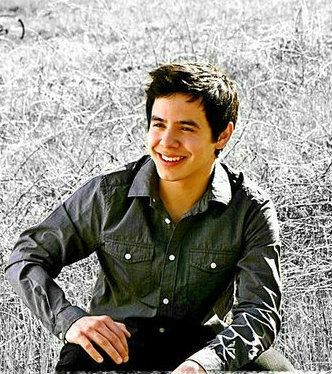 In town to promote his latest album, ‘The Other Side of Down’, David Archuleta also reiterated to xinmsn during the interview that he’s “never been in a relationship”, not even puppy love in high school, he affirmed. 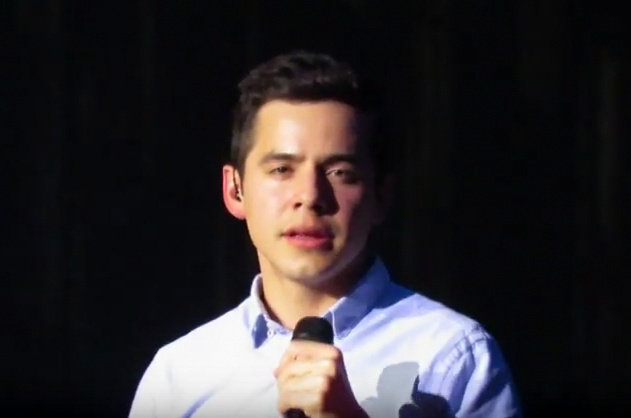 “A fan, middle-aged lady who wasn’t expecting to see me, saw me and started screaming, grabbing me and tried to kiss my face!” David Archuleta or ‘Archie’ as he’s known to fans recalled his most awkward fan encounter. Well, you can’t blame the overzealous fan – even if she’s in her 40s – for trying, can you, Archie? 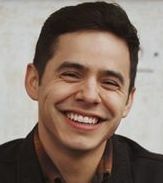 Naturally, the “kissy’ topic paved the way for my next burning question: Is it still true that David Archuleta has never been kissed? “Yes, my first kiss is still very much intact. You have to wait for the right person for that, right? !” the singer replied, laughing. It’s hard to take his candid words and fun persona seriously at first take but the contemplation was quickly put to rest in the next few minutes that ensued. Decked out in a grey, black outfit with matching cardigan, and together with his chipper demeanour, the teen crooner looked every bit your average American teenager until he started to speak. Turning 20 come end of December this year, the American Idol runner-up is amazingly wise and mature beyond his years and clearly has his feet firmly planted on the ground despite the fame and recognition that came along since his Idol experience from 2008. Counting his singlehood as a blessing that helps keep him grounded and “focused on all that’s happening”, the self-confessed mummy’s boy who “gets excited just from going grocery shopping with my mum” sure has a good head on his shoulders, as evidenced by the countless mentions of ‘family’ in our brief 20 minutes chat. “I’ll fly home whenever I get days off and spend time with my family…play video games with my sister or even go visit some of my neighbours and friends,” the good-natured singer shared. His second trip to Singapore this time, the baby-faced crooner “loves Singapore because it’s so clean and with lots of good food” lit up with excitement when asked about his favourite dish. In between his media interviews, autograph session and feasting, David also took time out for a surprise visit to students from Northlight Secondary School where he sang the hit single Something ‘Bout Love from his latest album and shared inspirational anecdotes of his success story. Trying to wait up for vids of David’s arrival in Manilla. Does anyone know what time he’s expected to arrive? I can’t take all the credit for that video. David is the easiest subject. I think he will land about 2:30 AM Est time. Just downloaded Silent Night — Orla Fallon and David — from iTunes. Unbelievably beautiful! The Media is at the airport! Woot!!! Yayyy @DavidArchie RT @urieldavid: Mediamen outside the airport *GMA AND ABS* I think they’re fanboy too. Heh. (I’ve gotta go have a look again!) Thanks abrra! 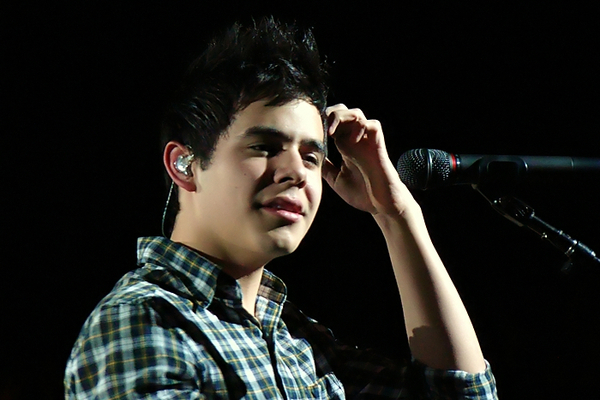 David Archuleta was in town as part of his promotional tour for his sophomore album, The Other Side Of Down. Arriving in Singapore early Friday morning, it was evident that David’s visit to Singapore was not a holiday – the 19 year old went straight to business, doing TV interviews, radio shows and photoshoots. On Sunday, he had a showcase at Zouk, organized by Singtel. The exclusive gig was for Singtel customers who purchased the latest Nokia handset, Nokia N8. The Other Side Of Down was recently released on 5th October 2010. As compared to his previous self-titled album, David has more co-writing credits for his latest album. “Most of the songs on this album were from personal experiences, which was a really neat thing to do because it was a challenge to try to let people be in my shoes through these songs,” he quipped. Fast forward 2 hours later, David was greeted by girls (and guys) screaming when he arrived at Bugis Junction for an signing session. After a short introduction session (not that he needed any! ), David put on his game face i.e a really huge smile, and the signing began. It was rather unfortunate that the autographs were limited to the album inlay and that no photographs were allowed, but meeting David in person and shaking his hand or giving him a high-5, was probably more than enough for the fans. They were also treated to sporadic 3-second jam sessions as David happily sang along to his songs playing in the background while he was signing. David’s guitarist, Alfredo, wasn’t spared from the limelight either. “I don’t want to go near the stage and be involved with all the madness,” Alfredo said while signing autographs for eager fans waiting at the sidelines to catch a glimpse of David. 1.5 hours and an uncountable number of fans later, David signed the last album at exactly 7.57pm. Before taking his leave, he said,”Thank you so much Singapore! 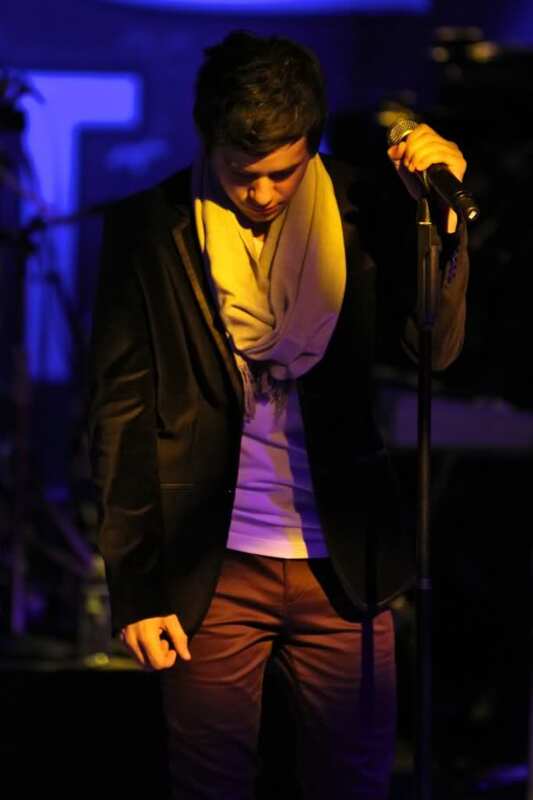 I’ll see you again very soon, hopefully!” And with that, David Archuleta left the building. Words of a true fan, indeed. There’s a lotttt of people here! This is gonna be crazy with all the media peeps! Thank you so much for your lovely article. I have enjoyed your comments for a long time here and on other sites. I shake your hand across the electric space and nod my head to your tribute in DA cadence. His invitation for us to march to his drummer is so smilingly and winningly offered, (come on in, the rhythms fine!) almost like a most familiar chorus of the one true song. I hear your deep appreciation of his gift in every line. Again, thank you. *sigh* To the fans in Singapore and Manilla: You light up the world. Thanks. And… may I just say dear DA, I like the outfit. @kimak http://twitter.com/Changhuiping ,<– before he went to the airport. RT @urieldavid: CAUTION. TWEETS WILL CHANGE NOW! DAVID’S PLANE JUST ARRIVED! I’M SPAZZING! Plane has just landed according to Filipino Archies. Wohooo! 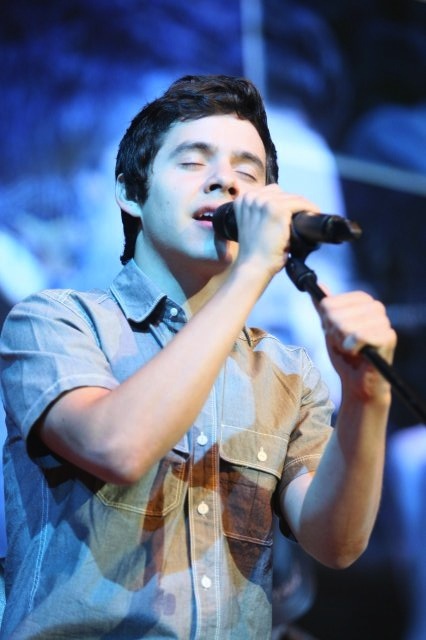 David Archuleta in Manila! @KarissaCortez David just came out and took a group pic with the team hotel peeps! Soooo happpy! 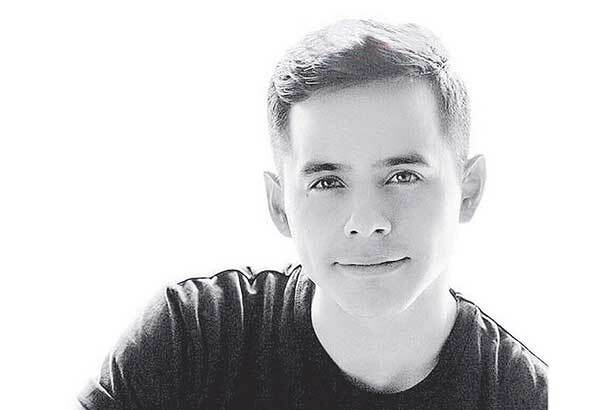 MANILA, Philippines—American Idol alumnus David Archuleta is back in town. Archuleta, runner-up in the seventh season of the popular star search in the US, deplaned at 3 p.m. at the Ninoy Aquino International Airport Terminal 2. He flew aboard Philippine Airlines flight 502 from Singapore, which was delayed by almost an hour. Smiling, he waved to a group of about 30 fans, clad in jeans and a white shirt with a smiley design. He answered questions from a group of reporters, TV news crews and photographers, who were waiting for his arrival. 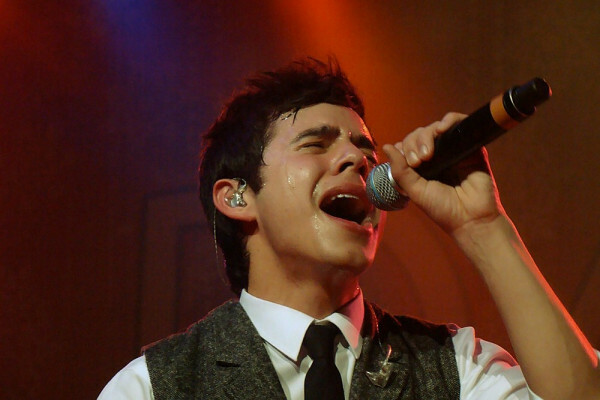 It was Archuleta’s second time in Manila, after headlining a concert last year with Season 7 champ David Cook. Relieved David arrived safely in Manila. So no I can get ready for work. Somebody should “tweet” Melinda & ask her. Oh, OK…maybe I should. (Didn’t mean to sound bossy). Coverage of his arrival in Manila. David appears on TV Patrol at :15 mark. Wow, yes, picture #33!! Not a reason to worry while he is with David!! Hi. he is so cute. He looks good on these pictures, time zone difference turns confusing lol. for moments I think David is nearer from what than truly is. I have came back to the reality lol: he is on the opposite side from the world. How I would like to speak perfectly english. …and I can’t spell again…educated! Thanks gals for all the news! I liked the one tweet CAUTION: TWEETS WILL CHANGE! THE PLANE HAS LANDED !!! Can’t wait to hear from JR! One of her last comments referred to a Wonderfullllllll surprise that she didn’t want to reveal yet! Praise the Lord! She is in my prayers. Don’t tell me you were the one who “attacked” David on that day!! So excited for David and all his fans! I feel their joy! Thanks for the Morning David MGR. I think Singapore is still not over David Fever yet. When I stepped into a crowded mall at 8 pm last night(the same day he arrived Manila), “Falling Star” was played in the air . It’s loud and clear. I do what I can, when you folks request. 🙂 SF can take credit for the idea. I am SO excited!! I got tickets to see David in Dallas!!! Can’t believe it!!! Send your screen cap to thevoiceda@gmail.com and I can post it for you . WordPress limits posting of pictures by admins only. David came out to greet fans! New Vblog! The “little red stinker”eye is explained! About 7 hours to go and they’re about 700-800 already there!!!! @DavidArchie we’re now on the line for later’s show. Haha. There are like 400 peeps here already! GATES ARE OPEN! 500 PEOPLE NA! They’re playing TOSOD! In all the excitement please don’t forget to stream “Falling Stars”, vote and request all three singles, “Something ‘Bout Love”, “Elevator” and “Falling Stars”. OH MY GOSH!!!! 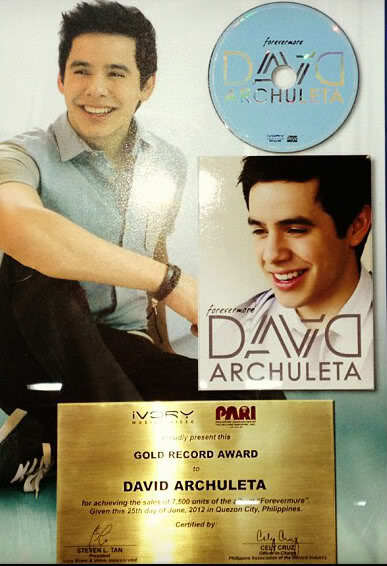 RT @urieldavid: CD is SOLDOUT, AS OF 11:40AM. Great reading; the author is right on the money! “I love this album! Great catchy songs. David did a great job writing these songs. Great messages, great voice. The messages deal with adversity in life and how we can deal with it. Something we all face. This take on coming out of the hard times is great! Love this whole CD! Can’t get enough of it! We need something to pull us out of the negative stuff that is in our face all the time! Way to go David! I would highly recommend this album to anyone! 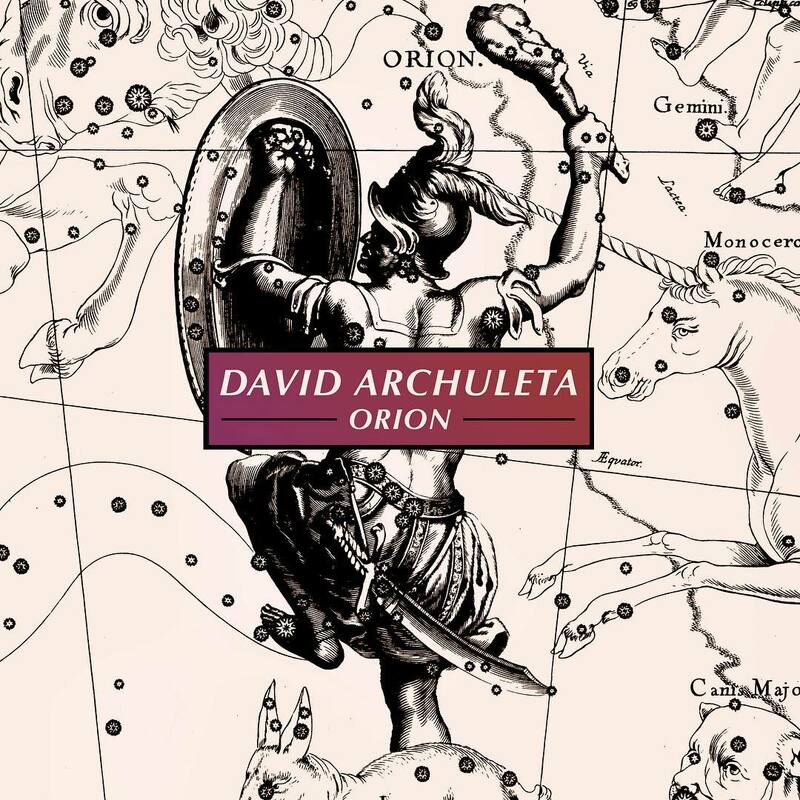 It seems David Archuleta’s virtues sometimes become vices with reviewers. Everyone agrees that David has extraordinary vocal talent and so it is natural that listeners want David to produce vocal extravaganzas and not much else. The thing with David is that because he is extraordinarily talented, he can and does enjoy singing an eclectic range of music. So if you are tired of albums where every song sounds the same, then this is the album for you. If you are tired of music which is depressing and sleazy and long for something uplifting and joyful, then this is the album for you. If you are tired of talentless singers, then this is the album for you. 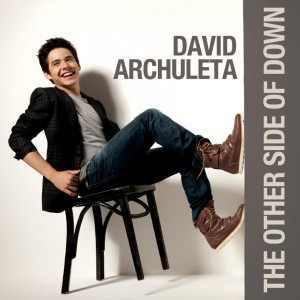 No not every song is a ballad – many of them showcase fun catchy melodies – but that is a part of what makes this album so great; this album is called The Other Side Of Down for a reason and David’s voice is showcased very well. As a songwriter for 10 of the 12 songs on this album, David’s goal was to share his fun, quirky personality and produce music that would have a lasting positive message. The album includes bouncy, quirky tracks such as “Elevator” and the title track ‘The Other Side Of Down’ with its message of continuing to put one foot in front of the other and not letting life get you down. It includes the radio-friendly and currently popular synthesizer sound of “Something Bout Love” where David acknowledges that love isn’t always easy but it’s always worth it. There are songs with catchy melodies like “Look Around” and “Complain” as well as tunes that can only be described as beautiful and touching such as “Falling Stars” and “Things are Gonna Get Better”. WOW! 4 more hours of waiting and there are over 1200 peeps already!! That’s it, I’m moving to the Philippines. Vote for SBL for Video Of The Year! It needs votes on musiqtone. Here you go my Finnish dahlink. Hallelujah! I have internet back and have been devouring every morsel of video I can stuff in my eyes and ears. The above vlog is love. I have half a mind to do a mgr of 2:47 – 2:55 when he goes, “I was gonna say something else, at least I thought I was.” and he does this quick sniff that looks like he’s wrinkling or twitching his nose. I don’t know why but it makes me squeal every time I hit replay. haha. Mabuhay ain’t going awayhay!! Tweeted by Melinda. Interview with Ruffa. Nice jeans and shirt is good too. Dark colors become him. Why do the torn places look black too? I am intrigued. When is this cellcast to be? Bebe, That is so beautiful. I remember him tweeting about this and later hearing they had the song sung @ there wedding. Which song was it? You Can? or To Be With You?? What a guy!! Meanwhile, here’s a pic I found of David during the roundtable interview. 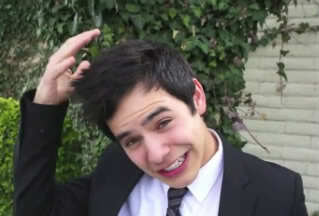 We were thrilled when we were told that we were interviewing David Archuleta in his hotel suite! He’s here for a showcase this afternoon and he had time to met some of the press people and we were fortunate to be part of the lucky ones who got up close to the unassuming young lad from Utah. We’re big American Idol fans, so it was quite a treat to meet one of the more successful alumni of the ubiquitous franchise. First thing he noticed was my Thailand t-shirt, and he remarked how much he loves Thai food. We were surprised at just how gentle and humble this kid is! 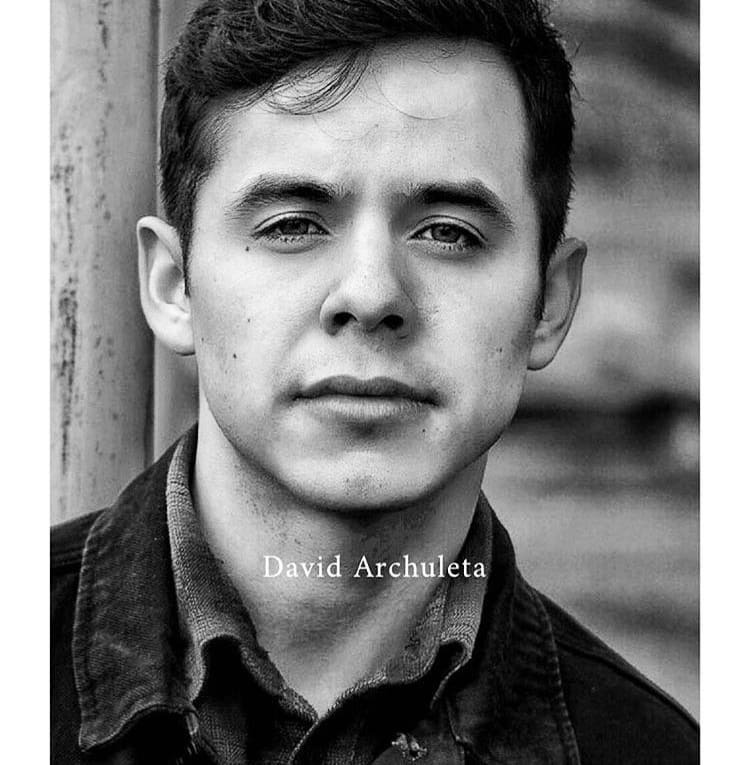 We all know the David Archuleta image we see on TV, right? We see him as shy, easily embarrassed, even awkward sometimes, but when you meet him in person, you realize just how genuine this guy is. Cut from a very different cloth as most of the celebs we’ve met. There’s no disingenuous bone in his body. The reluctant star shtick…isn’t a shtick. From the first time he opened his mouth, to the last thing he said to us, you can see that he means it, no matter how sanitized his image may seem to you. He’s a rare kid, who still accentuates the positive, who actually thinks he’s gotten out of his comfort zone by fighting for positive messages in his music that most people find ironically off-putting. 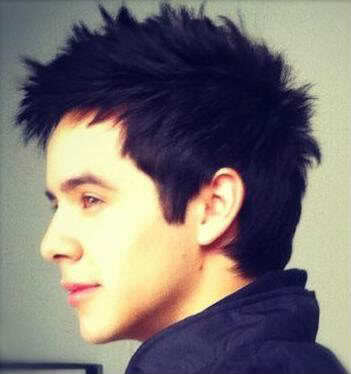 We did a Top Ten on him, giving him the Top Ten questions fans want David Archuleta to answer. We gave him your questions, ranging from questions involving American Idol to questions involving Justin Bieber. He was very game to answer the questions, so game in fact, that we went way over our 10 minute limit. We really tried to keep it under 10 minutes, but David seemed like he was really enjoying answering the questions. His handler would make signs to wrap up the interview at least 3 times, but he kept on going. He was really light to talk to, like it was the most stress-free conversation you’ve ever had. Now I understand it when people say someone is “maagan kasama“. 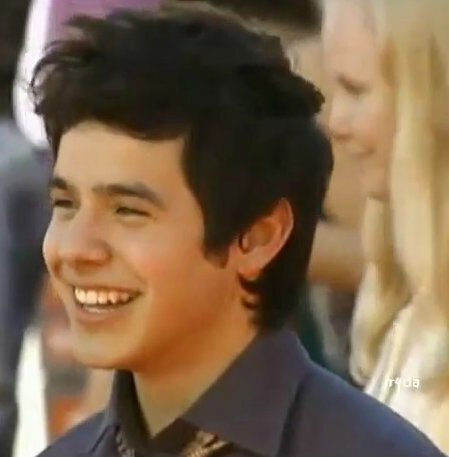 David Archuleta was exactly that. I don’t want to give away details of the interview, because we’ll be airing the full interview on RX. We’ll make sure to announce when. Delle and I still couldn’t believe that we met David Archuleta, such a wonderful person, practically beaming with light (you won’t understand it unless you meet the guy) and we wish him all the best in his career. He’s passionate about his music, but at the same time acknowledging that sometimes he can be too cheesy for his own good; he’s self-aware but not neurotic. We know that when it comes to success, deserving has little to do with it. But you root for David because he’s really one of the good guys. And it’s nice to see that every now and then, some good guys finish first. due 2 hi dmnad, seats @ flr level takn out. Tkt sakes stoppd at 1pm due 2 ovrcapacity. Crazeh! I watched the video cast this morning at 5:45 am est. The screen was a blur of lights and blue hues. There was a huge projection screen behind David that mirrored his every move on stage. First up was Elevator with his usual crowd sing along with the girls, then the boys singing “eye eye yay eye yaa” . Next was Crush at the piano. He wondered if he still knew how to play it. A wave of screams poured across the venue as he his the first few notes on the baby grand piano. The crowd sang every word with him. Applause was explosive in the overheated room.David said he should “get a giant fan for you guys!”. It was an unexpected short set.He announced “one more song” and the crowd cried out “NO!!!!!!!! NO!!!!!!!!! Final performance was SBL. Clapping and singing along, everyone must have been soaking in every last second of him as he sang on stage. When it was over, many left to get to the CD signing. Not staying for the next act. The concert recording is here. David starts around 18:30 mark. 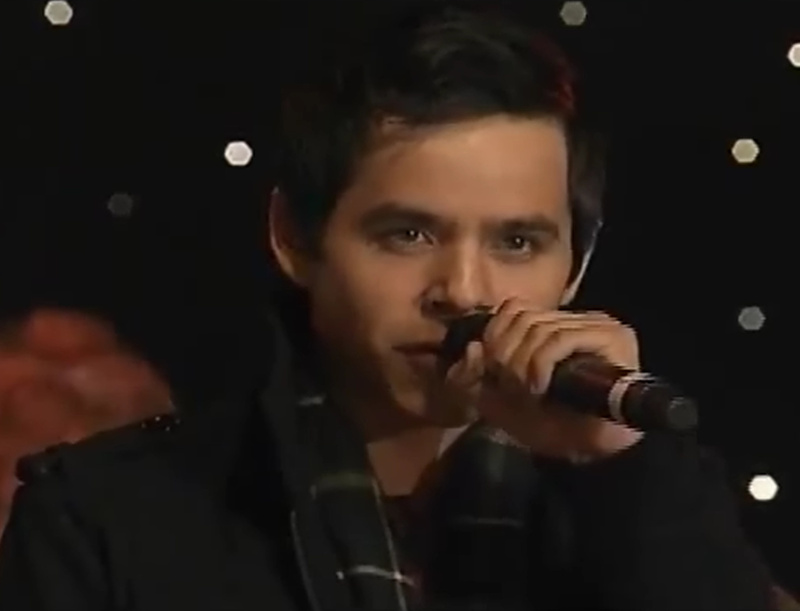 “It’s hot in here.” David literally bathed in love of the Pinoy Archies!! Angelica, nice to see you back and on your feet. Being sick is rough.. no computer, brutal. He looked great on that stage! LOOK at all the videos being taken. What a great event! Abrra, that article on the interview makes your eyes and heart well and swell, great find. They see his light. 70, very cool shirt, jeans oh yeah, and no shoes. Great pic. Hope we see this outfit again, shoes optional. Thank You Gals for your early morning reports,pictures etc. Enjoyed seeing the tweet from JR! Can’t wait for her review. Love the “Thrilla in Manila” excitement! I just received a call from SF and asked that I post the prayer for her, she’s at work, since David might be leaving soon. As per his tweet she was so right…. Here it is for David. Keep him always in your protective arms during his journey overseas. David, Buenas Noches! Sleep well with sweet & happy dreams. Thank you for all you do and for who you are. Keep with you all our love, support & prayers always. Contigo siempre! We will be with you always! HAVE A SAFE & UNEVENTFUL, PEACEFUL FLIGHT & PLEASE TAKE CARE! Abbra–before you get too carried away with your hammer and nails –can I come in? Been busy getting the ‘ol shed ready for a SD winter and watching all the videos ,reading posts, and staring at pictures for hours–it’s just all so entertaining and delightful I run out of time to post! Thanks everyone for your great articles and posts and information. SB–I am sooo happy for everybody that get’s to go to the MOTAB concert, my toes are tingling. Especially for you SB, cause there’s nothing like a special dream coming true. My daughter came bounding into the room saying ” Mother! Where had you been hiding Davids new CD, I love it, I love it” , and on and on and on. From across the room, my sister pipes up ( where she came from I have no idea) and says ” Oh, I love it too, in fact, I love it so much I’m going to sponsor a huge concert for David and promote the “H” out of it ( she must be filthy rich in my dream). So they start planning this concert and I’m just sitting there like a bump on a log, like I’m watching a tennis match. Turns out they had mega thousands of requests for tickets that they had to hold a lottery drawing ( shades of MOTAB). WELL, my sister didn’t give me a ticket and I didn’t EVEN win one. Well, talk about being miffed ( nice word), but I was bound and determined to go anyway, even if I had to hang from the rafters. So I packed my bag and was heading out the door–Oh no, Oh no–more bad news– I D I D N ‘T even know where the concert was going to be held!!!! Then I woke up! Mean, mean sister! If I knew which one it was, I’d let her have it , but good! Trouble is I don’t know which one it was, as I have four of them. I can’t even see David in my dreams. Very nice collage of pictures! From the Crush video in #88. Can his smile get any bigger? Oh great pictures I have seen . Thanks for letting me watch and publish pictures. Djafan I can’t watch the above video due to is privacy. I’d would to watch it. Hey all, I assume I’ll see all of the SoCal peeps at Anaheim and now San Diego!! Just got my Jingle Ball tickets for Dec 13th. David at 6:30 and a separate show with Sara Bareilles at 9:30. Going to both… They are playing at one of San Diego’s best venues, Anthology. Check out their site as anthologysd.com. Beautiful spot. I have always wondered if David would ever perform here and here it is!! Two David concerts in one month…ah, like the old times!! Andrea, I watched them now when I go back they are set to private, don’t know what happened. You’ll see me in Anaheim, but won’t be able to make the San Diego one this time. So happy for the tree lighting this Sunday, I’ll be there. Dak so nice to see you here! Dreams can be funny and weird. I’ll look for you in Anaheim. I can’t make this Sunday at the Grove (although I was tempted to rearrange and make the trip ‘cuz that is one awesome mall!) If you haven’t been there before I would suggest getting there very early because unlike the Hollywood and Highland venue where there were multiple levels, this is all ground level and I assume it will be PACKED! (Another reason I hesitated on going…) But Anaheim will be awesome and San Diego is going to be epic because of the layout of the venue. He will be just a few feet from the front tables. For a short stay in Manila David sure got a lot of interviews in. I was so impressed at the number of journalists who wanted to interview him. And the best part is that they get him! They get him like we do! #78″We were surprised at just how gentle and humble this kid is! 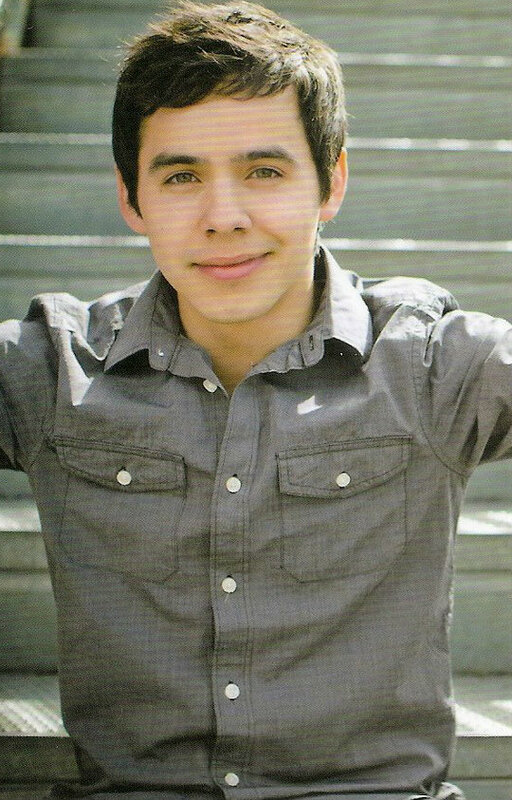 We all know the David Archuleta image we see on TV, right? We see him as shy, easily embarrassed, even awkward sometimes, but when you meet him in person, you realize just how genuine this guy is. Cut from a very different cloth as most of the celebs we’ve met. There’s no disingenuous bone in his body. The reluctant star shtick…isn’t a shtick. From the first time he opened his mouth, to the last thing he said to us, you can see that he means it, no matter how sanitized his image may seem to you. He’s a rare kid, who still accentuates the positive, who actually thinks he’s gotten out of his comfort zone by fighting for positive messages in his music that most people find ironically off-putting. I never made it to the livestream last night/this morning. Was exhausted but had about ten minutes left in me when out came the opening act. That’s when I shut down. Abs, thanks for holding down the forte. Loved the two outfits David wore, one to the roundtable interviews and the other to the concert. 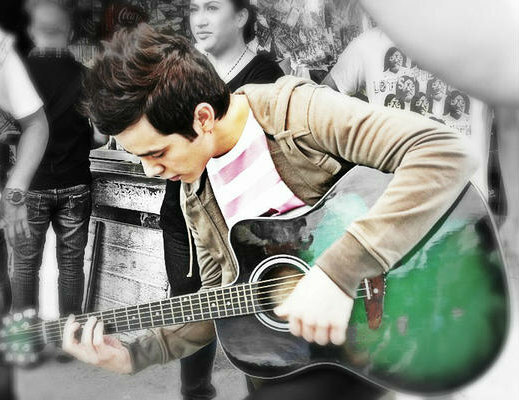 Rockstar!! Dakgal#87 Where you beeeeen? Glad to see you’re back! Hi Mike, have fun in Cali at the concerts! SF’s prayer on my mind. I mined a few more images from far flung sites. Pardon my long absence from the comments here. But I just had to get out of lurkdom ’cause I’m bursting at the seams after an exhausting but wonderful time at the Skydome. Maybe I am experiencing some sort of withdrawal from finally seeing David up close during his performance and at the cd signing because I could hardly sleep last night even if my back was hurting from standing too long in line and at the moshpit which was considered VIP. Now I know what you guys are talking about! I was in denial thinking I’m not too old for this moshpit thing. Goodness gracious, I’d only do it again if it was David! But it was an incredible experience for all the Pinoy Archies who planned the arrival welcome at the airport and at the hotel, and on how to go about getting in our beloved JR and Naree from the hotel presscon two cities away into the Skydome’s VIP/moshpit area when the whole place was already packed. 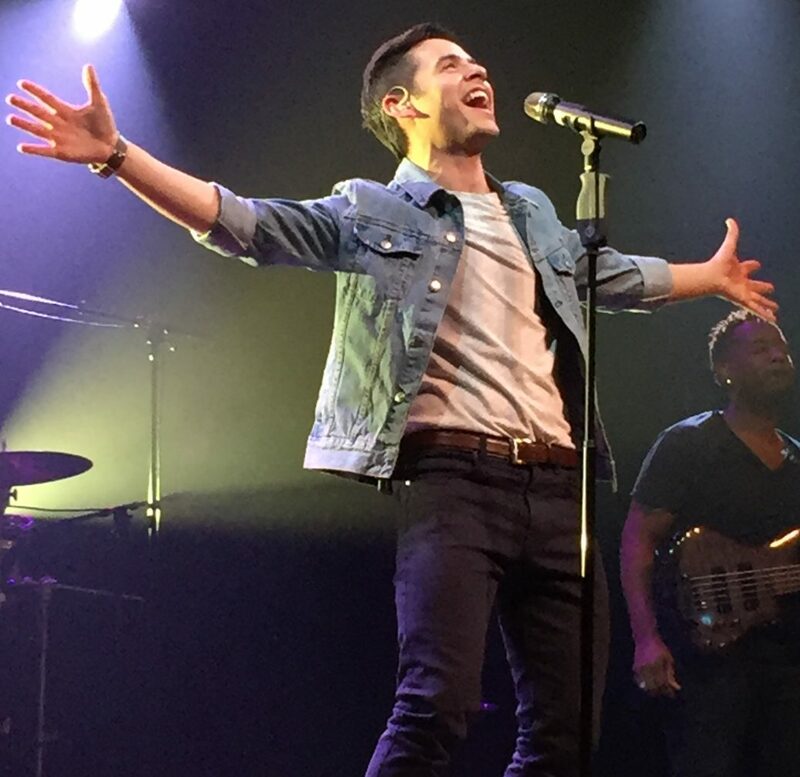 For the first time, I became so involved with finding the right people to talk to and helping out fellow Archies to experience David up close, and it felt so exhilarating! There is so much to write about and to share with you guys. The comments area isn’t enough for it. And this is a special note to Silverfox: your prayers for JR4DA were answered! And it was more than JR could ask for. I am just so happy for her, and am quite tearful just thinking about it. So Happy for you Ascphil and JR4DA!! Praise the Lord. What a lovely post. You definitely got the full effect of David up close. I want to invite you ( beg is more like it) to take your time an put down your experiences in an article for us all here at The Voice. There is nothing better than a first hand account by someone who had a first time experience. It can be as long or short as you need. Write from your heart. This offer goes out to any and all fans who have something to say. Whether it’s about a close encounter meeting David or just a need to express feelings about being a fan. Our site is for the fans, by the fans. Take your time. Putting your thoughts down may take a few days. Write when the spirit moves you. You have no idea how happy it made me to know JR met David up close & personal! Thanks for letting us know. I just wish I could have seen & heard the videos before they were taken down. I wonder why they were taken down though?? Hope David is getting some well deserved rest/sleep on the plane. Is he returning travel to USA at this moment? When is the concert in Indiana? if I’m not wrong he mentioned on the last videoblog your next concert. On the left sidebar near the top of the page, there is a list of David’s appearances. He will be in Indiana on Saturday 11/20. Sooo excited for JR, no one is more deserving. #104, can you make it bigger? The shirt fits him to a t, and the jeans compliment the look very nicely :). #95, wonder if he will ever trim his hair short enough so we can get a look at those long sideburns he is sporting..just wonderin’. Hi Ascphil Thanks I was one from those who could not watch the embedded videos here. So we can all rest easy..
Did iTunes make a mistake on ‘Little Drummer Boy’? Was Vince Gill there or was it Mark Wills? I noticed this in one of the comments, and I didn’t remember seeing VG spoken of. Just wondering. Tawna, Mark Wills was there! Is Abrra still in the house? I am SB, what can I do for you? Abrra…would you just go over to unplugged for a few tech. questions, well maybe one…? David should be in a LA or almost there. How do people find out arrival and departure times of others???? Aschpil, how great for JR and for you! Would love to hear all the details of your experience! Andrea, I love your collage! Have you seen it? The arms! The conductor arms!! “Finally, my 88year old grandmother meets David Archuleta. Last night at Sky Dome, her prayers to meet David got answered! 🙂 Praise God! She was able to go up stage and meet him! I am so happy for her 🙂 AND SHE’S VERY HAPPY TOO!!! Wow… I’m sitting here listening, and within the first seconds of David’s part, my jaw dropped. This has to be the most exquisite version of Silent Night I have ever heard. Thank you so much for posting Silent Night. Beautiful, beautiful and beautiful. I’ll be happy to share with you guys what happened before, during and after the event. We were truly blessed to have an honest-to-goodness Meet & Greet this time, no matter how rushed we were at the CD signing. I can never take away the image of David from my mind when I saw him look up at me from signing my cd cover. Unforgettable.